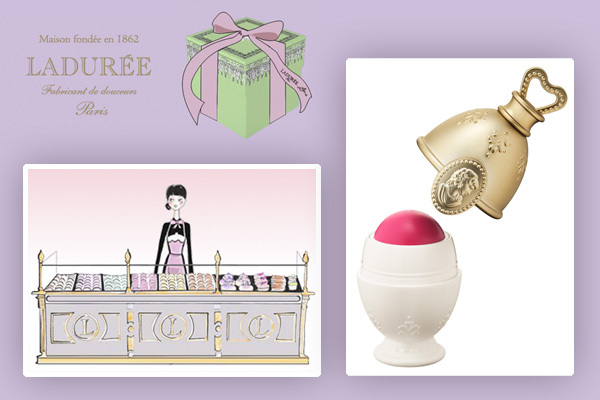 Les Merveilleuses De Ladurée is coming according to Fashion Press ~ yes. That Ladurée. 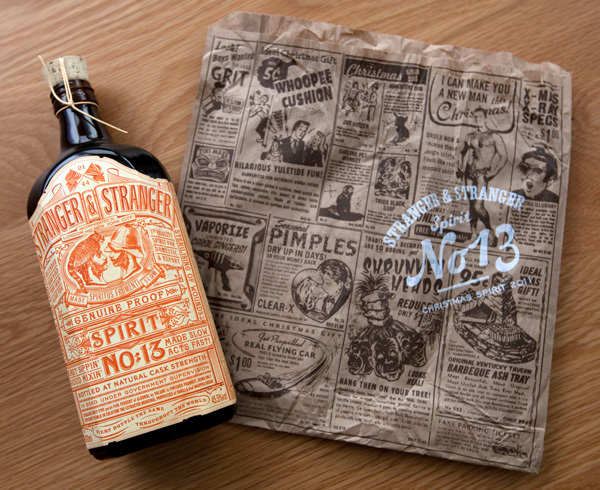 The famous french macaron maker is branching out in to cosmetics. These will only be available in Japan, and are in collaboration with Albion Cosmetics ~ the collection will include blushes, foundations, and lip colors inspired by their sweets. Take a peek at the upcoming collection on the next page! Been spending the start of the year setting up NOTlabs, so apologies for the quiet 2012 so far! 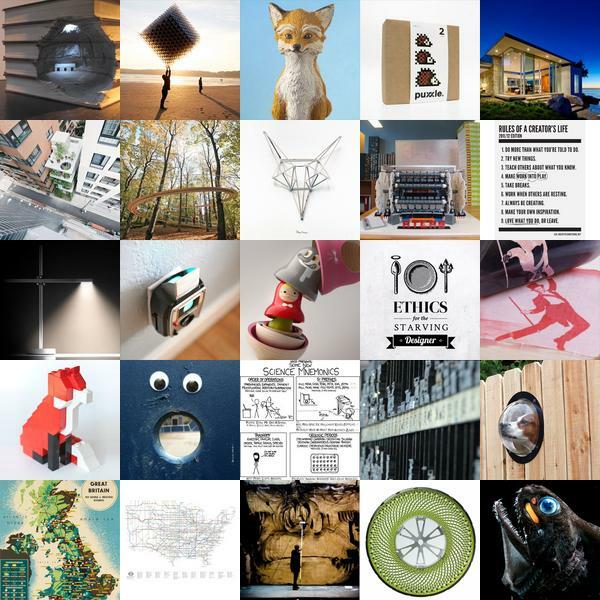 Before we rush ahead into what 2012 has to offer ~ here’s a quick look back at 2011 in 100 of the top of NOTCOT.org ~ click the little pics to see the posts! 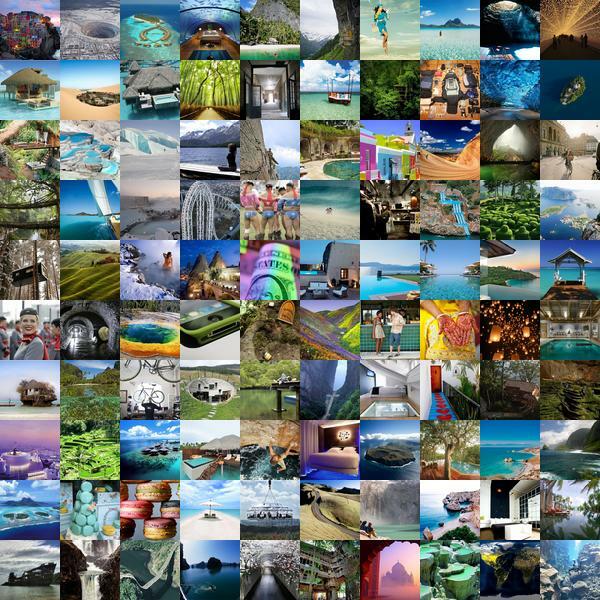 This was too pretty not to post when i was playing with our old posts ~ even reducing NotVentures post images to tiny tiles ~ all together they still make me want to escape to a tropical beach or go climb a mountain or wander a forest… click the tiny pics to take a peek at some of 2011’s most popular posts! I can’t wait to see where 2012 will take us! 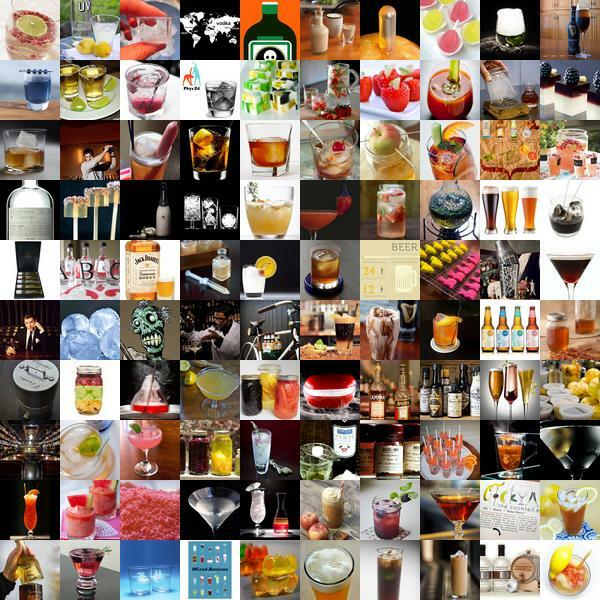 Hard to believe 2011 is already coming to a close ~ as we gear up to celebrate the start of 2012, here are 100 cocktails and other tempting Liqurious posts from 2011! Perfect inspiration for what to sip and serve on New Year’s Eve! Happy nearly 2012! 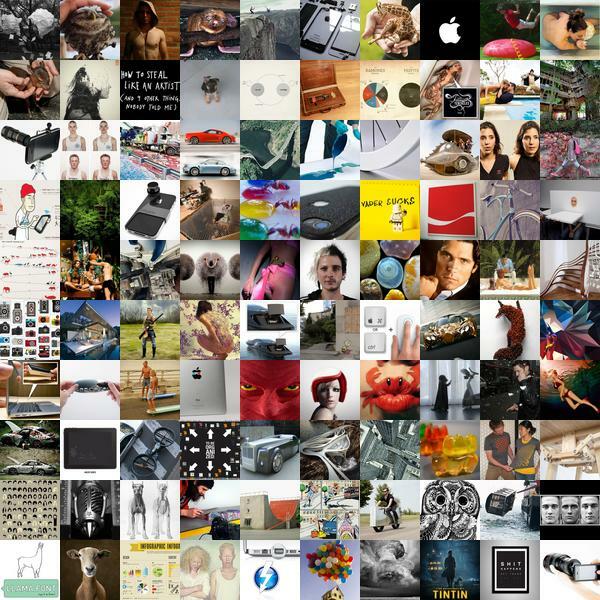 Click the little pics to explore! 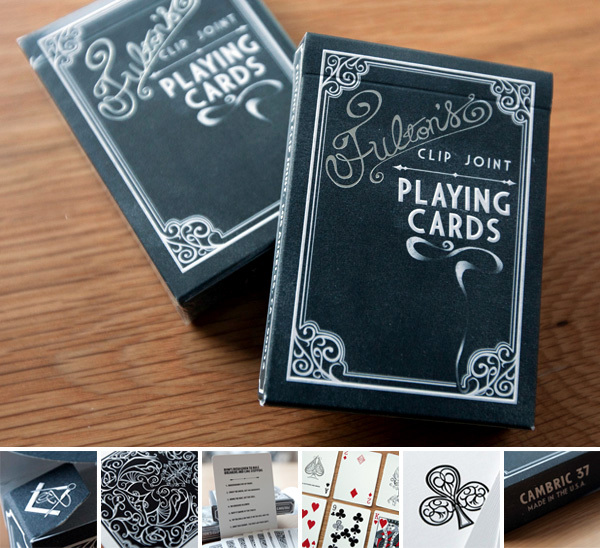 Theses beautiful Fulton’s Clip Joint Playing Cards designed by Brad Fulton arrived from Dan and Dave’s. Take a peek at this video to get into the mood and world they evoke… The details on the box are stunning ~ and the joker cats will mesmerize you. 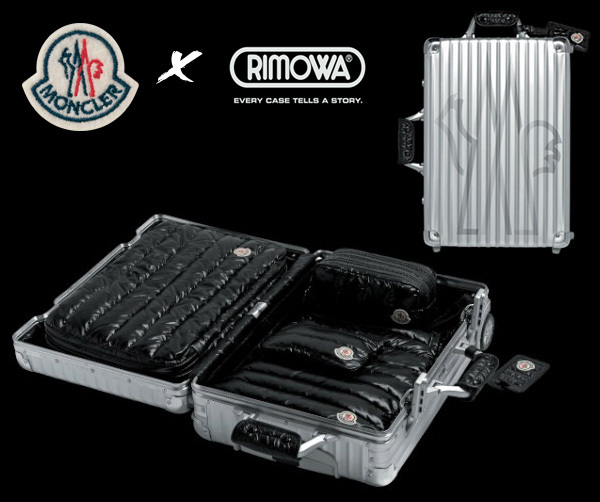 It’s as if my Moncler jacket got eaten by my Rimowa suitcase… and somehow fused into a strange luxurious chimera of sorts… It doesn’t look the most functional ~ yet i can’t stop staring. And wondering what else it would transform into if we fed it some other branded goodness… my Macbook Air perhaps? Or Louboutins? On holiday cards too good not to share ~ here’s one that just came from Division of ~ “a multi-disciplinary creative agency based in NYC.” The card reads “The peace, love, and joy we wish you this holiday season is immeasurable. 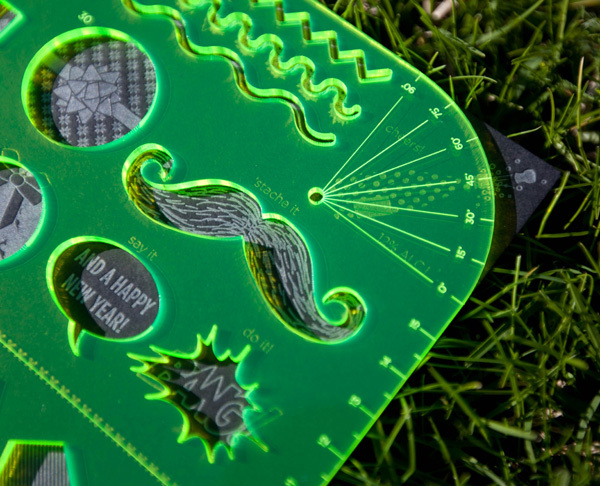 Here’s a ruler for everything else.” Love the laser cut acrylic ruler and the letterpressed card (pressed by Dolce Press) it aligns so perfectly with for stencil commentary! Take a peek at the fun on the next page! Windows for your pets, Matryoshka dolls and bioluminescent sea creatures all feature in this week’s roundup from NOTCOT.org roundup. To find out more about each post, click on its individual image. I’ve never been sent a mountain in a box before. And amazingly, the creative folks at Eleven Inc. have attempted to do just this. Sun Valley, Idaho ~ in a box! “Maybe not all of it, but damn close… The films are on a flash drive tucked into a piece of wood. Beyond that we threw in everything short of bullets and bourbon (and only left them out for legal reasons).” Fun, right? In the wooden box is a carabiner, fly, bowling scorecard, leather bound mini book, postcards, and “fire on demand” (aka matches)… all on top of the burlap sack lining. It’s adorable, and a fun selection of objects to get your wanderlust going, and popping the wooden usb key into the computer unleashes a bunch of films and stories of the world of Sun Valley. 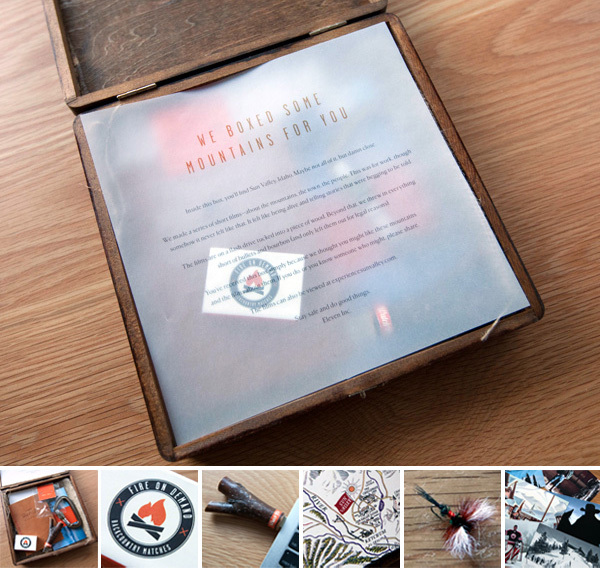 Take a peek on the next page to see the curated items in the box as well as some of the films! I’m not sure which part is more fun right now ~ the idea of a Pancake Plate (where, of course, the syrup flows down the slope into its special syrup reservoir to avoid over soaked pancakes!) 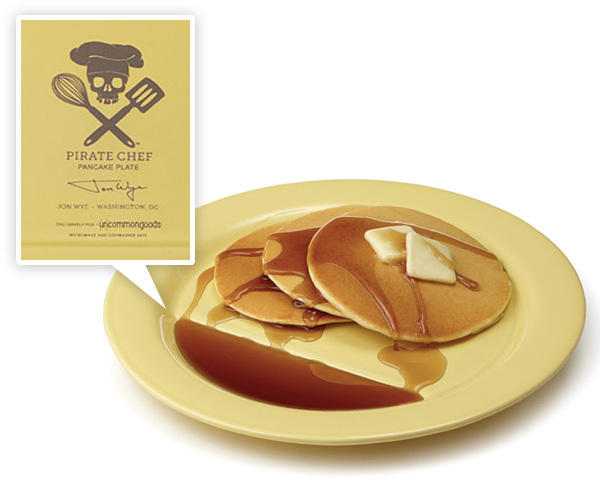 or the Pirate Chef logo by John Wye, who designed the pancake plates. I could have used these when tackling these pigs in a blanket at the UncommonGoods exclusive ~ bummer that there aren’t any with the Pirate Chef logo on them ~ see more details (and other pirate chef goodness) on the next page! AMAZING. 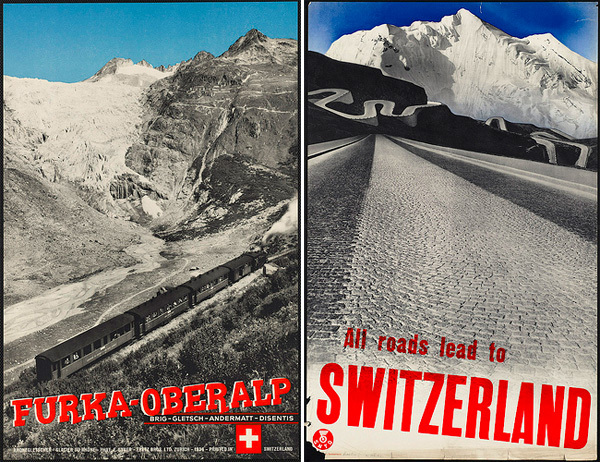 It’s Christmas night, and i’m happily curled up, jetlagged, listening to music and browsing hundreds of vintage travel posters… and they are incredibly inspiring. Something about the mystery and wonder and playfulness they imply can’t be replaced by a photograph. They are filled with possibilities… i just browsed through all of the Boston Public Library Print Dept’s set and you can see my favorites on the next page! 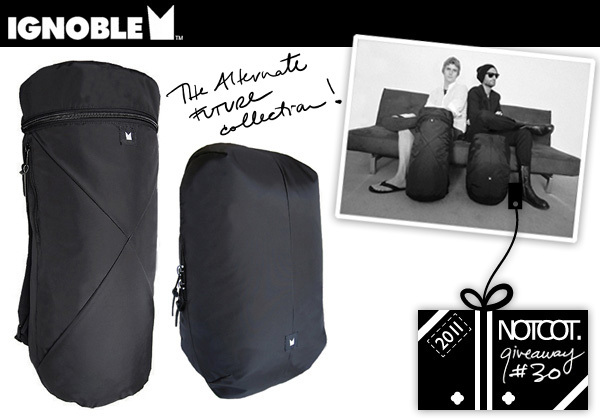 For a chance to win the Alternate Future Collection from Ignoble Bags, leave a comment with how you imagine your alternate future before midnight PST on Dec 29th, 2011 and we’ll notify the winner by email! CONGRATS to our winner Greg in Burnaby, BC, Canada! 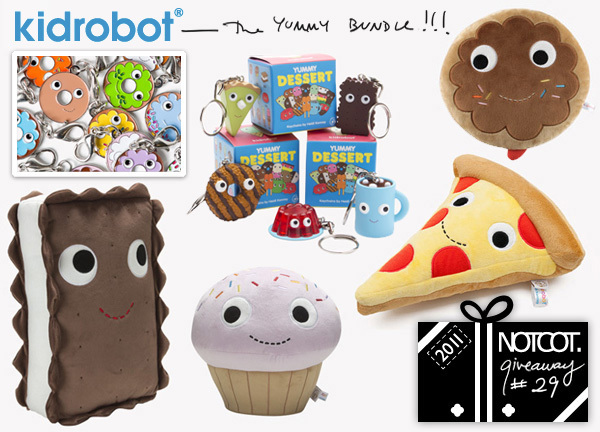 Ok foodies ~ this is one huge pile of food turned toys being given away by Kidrobot for our penultimate holiday giveaway! This insane set of YUMMYness contains 24” Yummy Pizza Plush, a 9” Yummy Pink Edition Cupcake Plush, a 13” Yummy Ice Cream Sandwich Plush, a 12” Yummy Brown Edition Donut Plush, five Yummy Dessert Keychains, and five Yummy Donut Enamel Zipper Pulls… it could instantly transform your play room, living room, kitchen, office, etc into quite the plushy/toy filled playground of sweets! For a chance to win a YUMMY Set containing 24” Yummy Pizza Plush, a 9” Yummy Pink Edition Cupcake Plush, a 13” Yummy Ice Cream Sandwich Plush, a 12” Yummy Brown Edition Donut Plush, five Yummy Dessert Keychains, and five Yummy Donut Enamel Zipper Pulls from Kidrobot, leave a comment with your favorite sweet indulgence before midnight PST on Dec 28th, 2011 and we’ll notify the winner by email! You’ve got to see the pics on the next page for a sense of scale ~ the plushies are definitely bigger than i expected… and a coupon is waiting for you there as well! CONGRATS to our winner Lea in Courtland, CA! 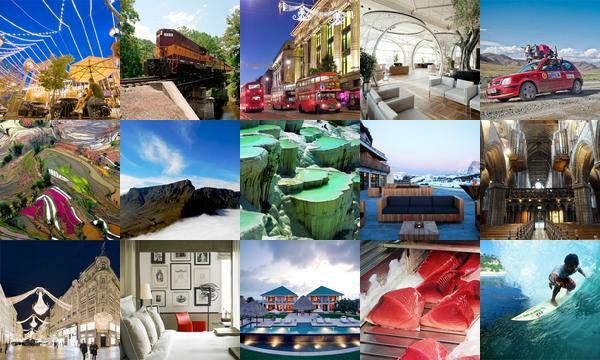 Discover the Rice Field Terraces of Yunnan, the perfect wave in Indonesia, Tokyo’s Tsukiji Fish Market and more in this week’s roundup from NotVentures. To find out more about each adventure, click on its individual image.